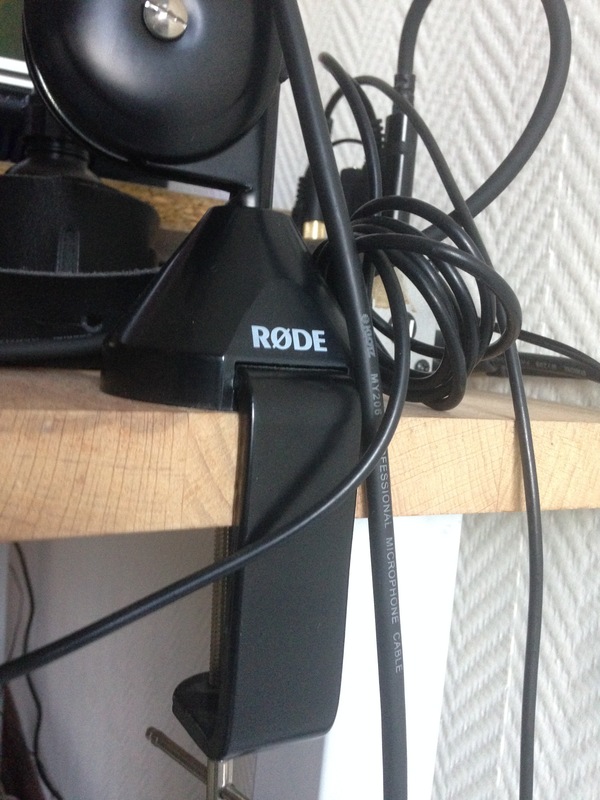 PSA1, Stand/Boom Arm for Microphone from RODE. Rick Dinsmore's review"Great price, works perfectly, will hold weight"
Mic boom is very good, quiet in motion and is capable of holding heavy mics and shock mounts including the heavy RODE Procaster/Podcaster models and the BLUE Yeti with shock mount. 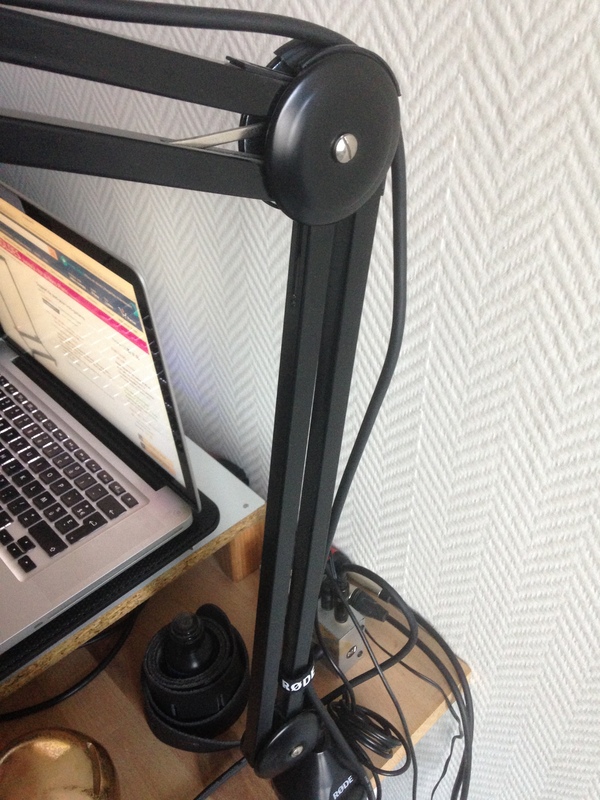 Attaches easily to desks or tables without tools. Seems pricey, but then cheaper booms are not going to work with weight, and are often have noisy springs. Buy once and save the cost of trial and error! 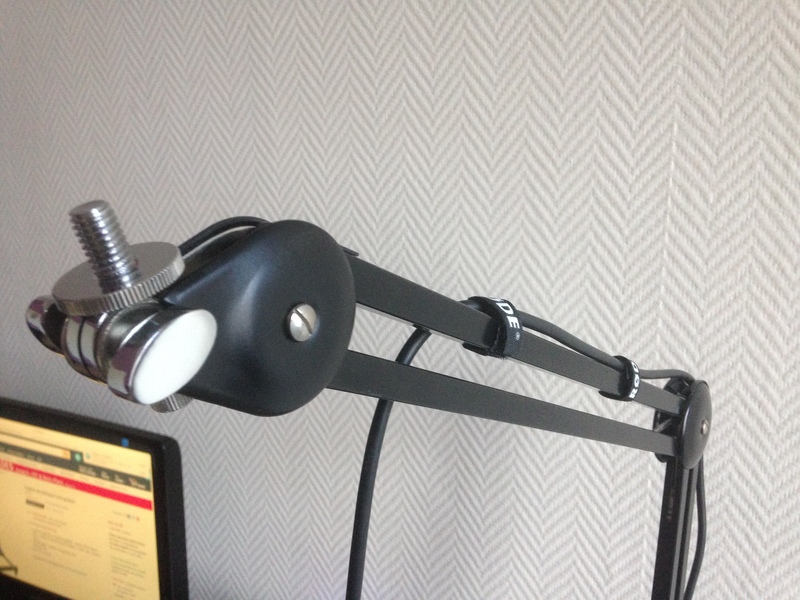 Gam40x's review (This content has been automatically translated from French)" Excellent"
Articulated arm, micro stand for office. Very strong, both types of fasteners (making a hole in the office or not), the clamp that attaches the arm without making a hole in the office can squeeze very hard, and there is a non-slip pad under the basic stability. There are no thumb screws to tighten to keep the arms in position unlike other articulated arms that tend not to hold the position well with heavy pickups. 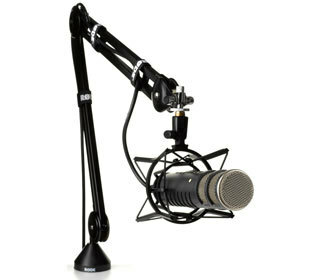 Here is the counterweight of the microphone that creates balance. it also works well with a relatively light SM 58 NT rode a big 2000. Freemax's review (This content has been automatically translated from French)" Nikel!" I use my PSA1 with Eagletone CM90 (quite heavy: 1.1 kg with its suspension). I just had my PSA1 but at first c really pro stuff: very robust, reliable and flexible at a time. 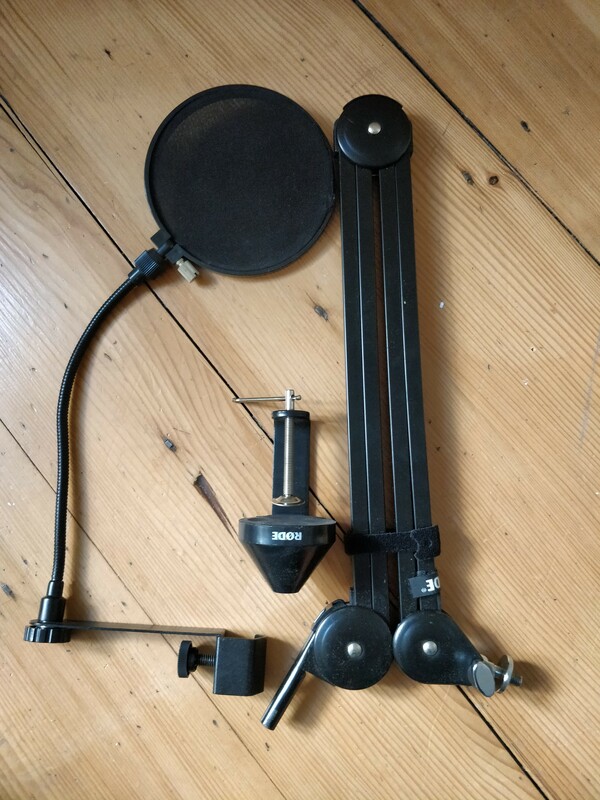 I use it in a config for home studio, and without changing my setup, I pass the microphone to acoustic instruments and height up voice ... all in a flash without loosen or tighten. A little pricey for a "foot" ... Certainly. But once split the ticket, I'm pretty happy with the purchase.